This development offers the following schemes: Part Exchange - If the thought of selling your existing property is putting you off buying a new home then our Part Exchange service could be the solution for youHelp to Buy - Scotland - Move with just a 5% deposit using the Scottish Government's Help to Buy - Scotland schemeHome Change - We'll help sell your house in 3 easy steps Schemes are available on selected plots only, subject to status, terms and conditions apply. Contact the development for latest information.Style Description The Elgin's Key Features Open plan kitchen/diner with French doors leading to the garden Spacious front-aspect lounge Separate utility room for extra storage and laundry Down stairs cloakroom Handy storage in hallway and landing En suite to master bedroom Family bathroom with modern fixtures and fittings Ground Floor The ground floor features a spacious hallway, downstairs cloakroom, generously sized lounge and large kitchen/dining area with double doors to the rear garden. First Floor The first floor contains 3 spacious bedrooms, including the master suite with en suite and a family sized bathroom.RoomsGround FloorKitchen/Dining Room (5.54 x 2.84 m)Lounge (3.79 x 3.61 m)First FloorBedroom One (3.85 x 3.29 m)Bedroom Two (2.87 x 2.78 m)Bedroom Three (2.87 x 2.68 m)SpecificationSpecification We are a national house builder with a local approach to building your new home. We will provide you with the specification appropriate to the locality of your selected new home and development and we will explain the choice of external materials used, for example your brick colour and roof tiles. You will be able to select certain elements of the fixtures and fittings encompassing the latest designs from leading manufacturers, subject to the stage of build of your chosen home. If you wish to further personalise your new home, an exciting range of options is available to purchase from our Finishing Touches scheme. Our experienced sales team is on hand to guide you through the choices available to you depending again on the stage of build. Quality Assured Your new home will be built in accordance with all relevant technical and building regulations, in particular the Government's Code for Sustainable Homes. In addition all stages of the construction of your new home will be inspected by our experienced construction staff. On completion of your new home we will provide you with a quality assured certificate for you to keep. 10-year NHBC (or equivalent) Warranty A 10-year warranty is provided with every new Persimmon Homes home. A comprehensive guide explaining the warranty will be supplied to you. We will ensure warranties provided by the manufacturers of appliances are honoured for the first year of occupation. Our Customer Care Department is on hand to offer you the necessary guidance and assistance.About Mosswater ViewEnjoy the semi-rural peace of Smithstone, with the convenience of nearby Cumbernauld Mosswater View is our collection of new homes to the town of Smithstone, North Lanarkshire. 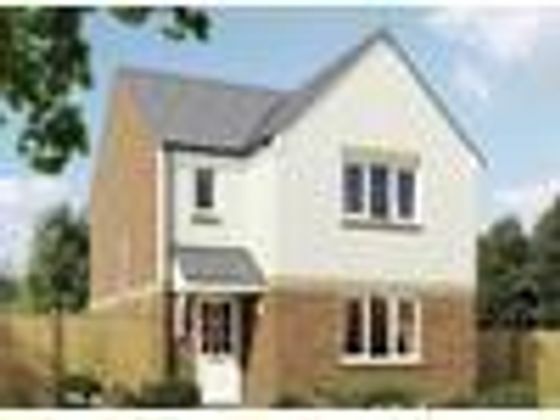 Located just to the west of Cumbernauld, the development offers a variety of 122 two, three, four and five bedroom homes. Range of 2,3,4 and 5 bedroom homes Ideal for first time buyer's and families Good transport links Great choice of local amenities From a location perspective, Persimmon at Smithstone ticks all the boxes as it's just 2 miles from the town centre of Cumbernuald yet is nestled between the open green spaces of Mosswater Nature Reserve and Dullatur Golf Course. Living here means you can enjoy the benefit of good local amenities including shops and restaurants at Craigmarloch or the nearby Antonine Shopping Centre. The nearby town centre of Cumbernauld also offers a whole host of shopping and leisure activities to keep the family amused including a packed programme of events at The Cumbernauld Theatre. Sports enthusiasts are spoilt for choice with both the Broadwood Leisure Centre and the Tryst Sports Centre and swimming pool within easy reach of the development, plus the development is close to Dullatur Golf Course and Westerwood Golf and Country Club. Nearby Palacerigg Country Park is perfect for family days where you can enjoy its many walks and trails. Arrange an appointment now to find out more about this fantastic development.EducationFamilies with children will be pleased to know there's a range of schools in the local area. Eastfield Primary School and Holy Cross Catholic Primary School are both under a mile away and Auchinbee Children's Nursery is 1.3 miles. For older children there's St Maurice's High School (1.1 miles).TransportMosswater View is conveniently located just over a mile away from the M80, which is only a few miles north of the M73, M8, and M74. The town has excellent road links to Glasgow to the south and Falkirk, Stirling and Edinburgh to the north. Croy train station is within walking distance of the development and has regular train services to Edinburgh and Glasgow and other parts of Lanarkshire. Cumbernauld train station is 3.4 miles away and also has direct trains into Glasgow, Falkirk and Edinburgh. Regular bus services run to Glasgow, Stirling, Falkirk, and Edinburgh, while local services run to the surrounding towns and villages. The airports in Glasgow and Edinburgh are also easily accessible for destinations further afield. Approximate travel distance by car to: Croy train station: 0.8 mile M80: 1.4 miles Greenfaulds train station: 3 miles Cumbernauld train station: 3.4 miles Glasgow Airport: 22.2 miles Opening HoursMonday 11am - 6pm, Tuesday Closed, Wednesday Closed, Thursday 11am - 6pm, Friday 11am - 6pm, Saturday 11am - 6pm, Sunday 11am - 6pmDisclaimerImages depict typical Persimmon Homes house type. All room dimensions are subject to /- 50mm tolerance. This information is for guidance only and does not form any part of any contract or constitute a warranty. All information correct at time of publication and is subject to change. Please check specification by contacting the development directly. Property advert Ref 4278917 - Is a property advert for marketing purposes only, the information has been supplied by the owner, estate agent or property portal and The House Shop makes no warranty as to the accuracy or completeness of the information. Furthermore we have no control over the adverts content. This property advertisement does not constitute property particulars. Please contact the advertiser to obtain any information regarding The Energy Performance Certificate regarding homes in England and Wales or Home Report for residential property in Scotland.